How Long Will The Precor EFX 225 Last? The most valuable aspect of the EFX 225 is the quality build that offers both strength, function, and durability. Though you do not receive as many bells and whistles, you will certainly be able to enjoy the EFX 225 for many, many years. Congruently, we would recommend this elliptical for a serious user who enjoys every-other-day workouts. Still, be sure to keep in mind that the daily upkeep of a machine can best determine its lifespan. If you were to spend thousands on a brand new set of golf clubs, your first decision would more than likely not include running them over with a golf cart. Likewise, be sure to take good care of your elliptical in our to get the most out of your investment. 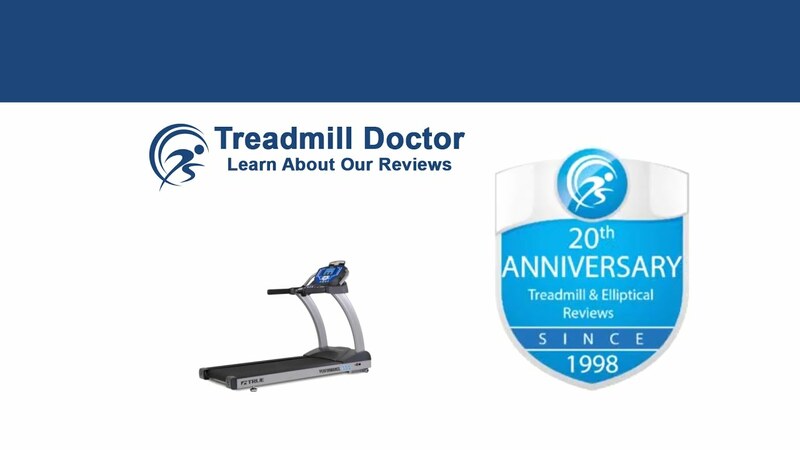 As we have mentioned in some of our other reviews that focus on ellipticals in this higher price range, there are a few brands on the market that have very respectable, costly reputations. These reputations then transcend into the various models’ price tags. The EFX 225 is a good example of the importance of reputation. But we also like the fact that this particular model has been made a little more affordable. Precor has designed a frame that is similar to their commercial ellipticals with a little less value in order to make a more affordable series. The EFX 225 is a stripped down Precor that still offers a lot of value without breaking the bank. In response, we have awarded the EFX 225 our Third-Place slot among the $3,000 to $3,999 dollar 2019 Best Buys. Why is it that we are willing to pay thousands of dollars on a brand new Coach bag or an Italian suit when there are plenty of purses and suits that have the same function and decent quality for much less? Because we are a culture of status. There are some people who truly appreciate a good reputation and high-quality products. Similarly, the Precor ellipticals are the Coach bags of the elliptical market. Precor was the first brand to introduce the ellipticals, and there is just something about having a product from the originator. Secondly, since their elliptical debut, Precor has continued to develop a strong, well-engineered design that has led to exceptionally high-quality products. Thus, the EFX 225 offers much more than a durable build; one receives the Precor expertise, intelligent design, and superb customer service. This particular model also shows Precor's ability to make a more affordable model. While the EFX 225 does not have the same commercial frame as the four hundred series, it is inspired by the infamous commercial frame. We have chosen the EFX 225 over other ellipticals in this price range largely because of this affordability. We like that Precor has made their quality design more accessible. We also like the warranty that comes with the EFX 225. This elliptical is not only backed by a reputable company, but it is also equipped with a five-year-parts and wear items, three-year console, and one-year labor warranty. This is a relatively decent warranty and adds a good amount of value to the EFX 225. In addition, the Precor ellipticals come equipped with their cross-ramp design. This system uniquely changes the motion of one’s stride in order to create workout variations through muscle targeting and incline. The EFX 225 has the basic sixteen resistance levels and twenty-five percent incline ability. The value, though, comes from Precor’s cross-ramp design as opposed to the actual incline ability. Nonetheless, we do have a few issues with the EFX 225. First off, there are other ellipticals in our top four that have many more workout out programs and technology-based features. While one does receive the cross-ramp ability, the EFX 225 does not have as many functional features that other ellipticals with similar price tags have. Moreover, though we like the fact that Precor made a more affordable model by their standards, the EFX 225's price tag is still largely based off of the Precor name. Relatively speaking, other brands offer more style and utility which may be viewed as a better justification for the higher price tag. But if you are a fan of the Precor name, then you may evaluate the value and price differently. We have said that the EFX 25 is a high-quality elliptical with a motorized adjustable ramp that holds true to the Precor name. While we do like the value in the EFX 225, we have recommended saving a little more in order to buy one of Precor’s four hundred series as they have the same commercial frame that Precor is so well known for. We are a little concerned about the EFX 225 as it does not have as many features and is largely priced high because of its Precor name. Even still, there are users who recognize the value in Precor ellipticals. These users may appreciate the fact that Precor made a more affordable model that is inspired by their commercial model but stripped down a bit. Taking this into account, we would recommend our 2019 Third Place Best Buy Winner for the $3,000 to $3,999 dollar category for a serious user who appreciates the Precor name.